I came across this idea on pinterest, and thought it was adorable. 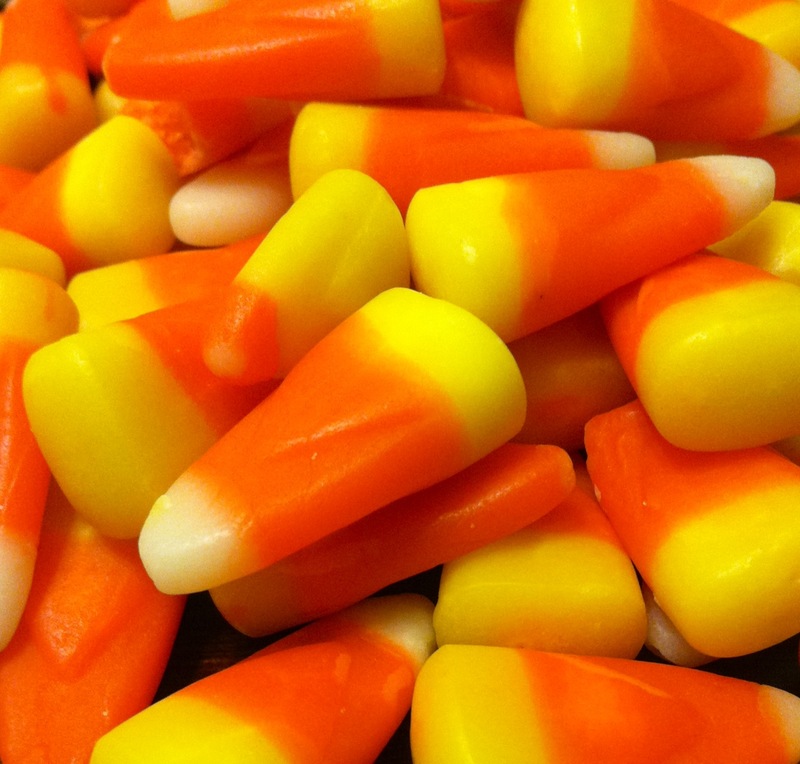 I had two large bags of candy corn and chocolate left over from Halloween, and wanted it out of the house! 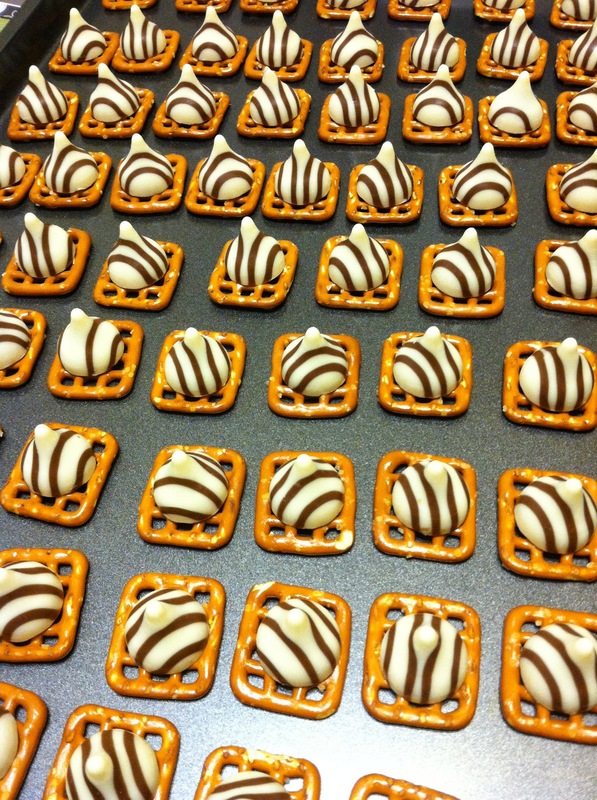 I had to make a snack to bring to an upcoming event so I decided to utilize some of this candy. This recipe is so cute and hardly takes any effort. Heat your oven to the lowest possible temp. 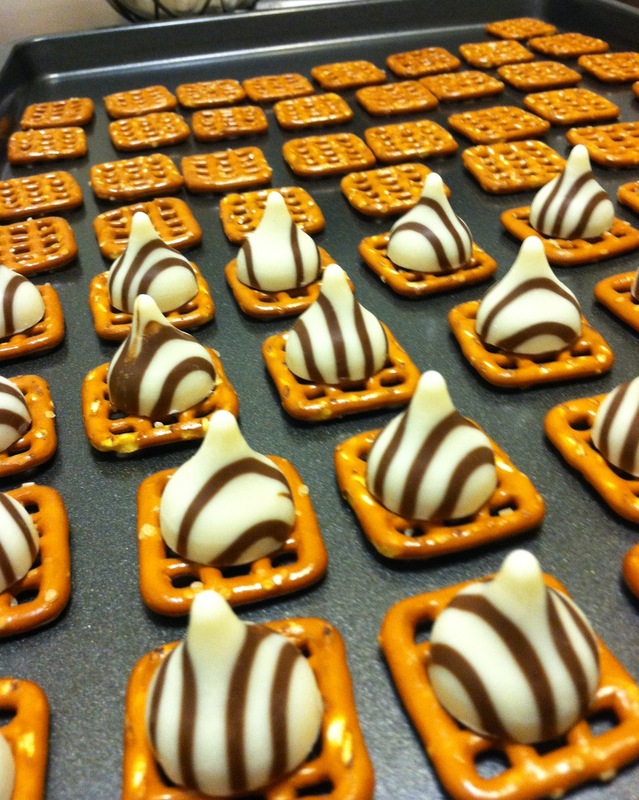 Line your preztels on a baking sheet , placing one Hershey’s hug on top of each pretzel. Place in oven and cook for only 3-5 minutes, keep watching the chocolate. When it starts to glisten , it should be soft enough. 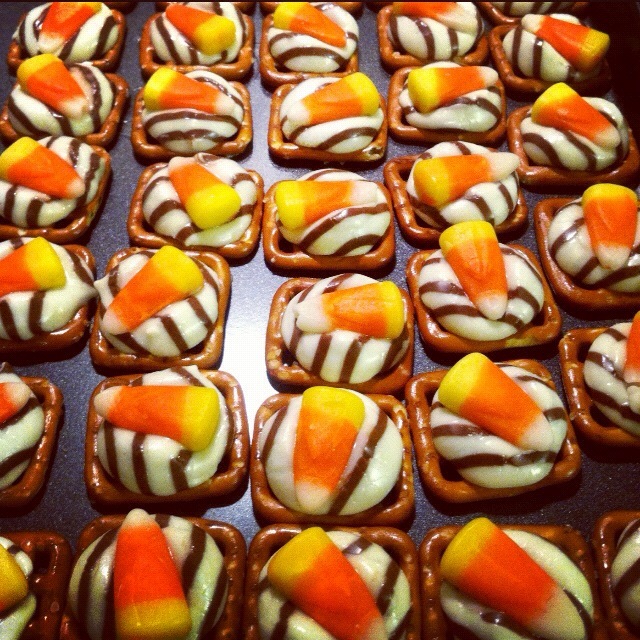 Take out of the oven and place one candy corn on top of each Hershey’s Hug. Set aside to cool and allow chocolate to harden. *Be careful of other recipes for this snack, some say to heat your oven to 350 or 375 and this is will turn your chocolate into soup!Also do not refridgerate these treats to cool them, the chocolate will turn speckled from the cold.